The Rex Hamilton Corporation is a firm built around the vision of one individual who saw the need for real estate services for sophisticated international clients. In the middle 1980s, the name of the firm was selected by the representatives of one of the world’s largest banks in tandem with two of its largest customers. On its first day of “official business” it began the daunting task of assisting clients of the bank with the selection of the first site for manufacturing Japanese automobiles in the United States. The trust which was developed by the successful selection of that real estate and the willingness of Mr. Hamilton to go to Asia and beyond on a moment’s notice, created a business that brokered a huge number of luxury hotels and ultra luxury residences in the USA and the Caribbean. Clients of the firm were passionate about discovering new locations and one of them was Fisher Island where at one time, Mr. Hamilton’s clients owned almost every important apartment on the island. As financial market conditions changed, the firm discovered itself with the opportunity to distinguish itself by developing a residential brokerage arm that served the unique needs of the high net worth individual. Today the firm continues to focus on the needs of the high net worth customer by providing a sophisticated view of the buying process and creating an orderly process for the marketing of unusually interesting properties. Rex Hamilton is an interesting blend of Miami native, inquisitive mind, and world view. Although he was born into a tourist town, by the time he was 15 he had traveled to South America, the Mid and South Pacific, and extensively across the USA. He took the academic path seriously by earning a Bachelor of Science at Georgia institute of Technology and a Masters of Science degree at the University of Georgia. After a marketing position which required a detailed knowledge and travel through Asia, he returned to Atlanta to work for an engineering and environmental services leader, Law Companies, to ultimately head all of its marketing operations. 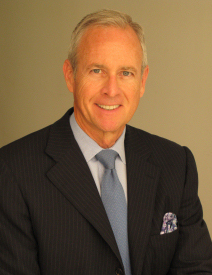 One of its international clients convinced Mr. Hamilton to obtain the licenses and educational experiences necessary to run a real estate services firm and as it seemed a logical next step, he returned to his native Miami and worked for the largest owner of office buildings in the South in its commercial brokerage group. After the licensing requirements were met, The Rex Hamilton Corporation roared into being riding the wave of Japanese investment in the USA and Europe. As the financial market conditions changed, he focused on residential brokerage while maintaining the consulting relationships with many commercial clients as well. After running a large department, he was able to see the wisdom of controlling the scale of the firm and has continued a boutique operation today. Rex Hamilton has served as a consultant to large, international corporations in expansion of portfolios into Southeast Asia and the USA. He has served high net worth clients by providing them access to the tightly controlled world of European family-held companies for merger and acquisitions. He remains true to scientific background in serving on the board of conservation and ecologically-minded research organizations while providing expertise to these organizations in real estate consultation and services.